In these eight masterful stories, Lorrie Moore, in a perfect blend of craft and bewitched spirit, explores the passage of time and summons up its inevitable sorrows and hilarious pitfalls to reveal her own exquisite, singular wisdom...Gimlet-eyed social observation, the public and private absurdities of American life, dramatic irony, and enduring half-cracked love wend their way through each of these narratives in a heartrending mash-up of the tragic and the laugh-out-loud - the hallmark of Lorrie Moore - land. 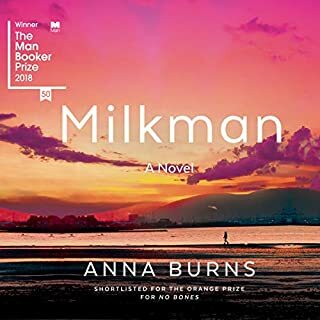 From one of contemporary literature's best-selling, critically acclaimed and beloved authors, a magnificent new novel set in Ireland, about a fiercely compelling young widow and mother of four, navigating grief and fear, struggling for hope. 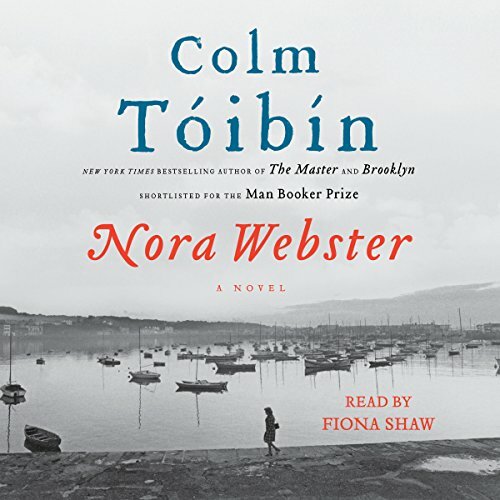 Set in Wexford, Ireland, Colm Tóibín's superb seventh novel introduces the formidable, memorable and deeply moving Nora Webster. Widowed at 40, with four children and not enough money, Nora has lost the love of her life, Maurice, the man who rescued her from the stifling world to which she was born. And now she fears she may be drawn back into it. Wounded, strong-willed, clinging to secrecy in a tiny community where everyone knows your business, Nora is drowning in her own sorrow and blind to the suffering of her young sons, who have lost their father. Yet she has moments of stunning empathy and kindness, and when she begins to sing again, after decades, she finds solace, engagement, a haven - herself. ©2014 Colm Toibin (P)2014 Simon & Schuster, Inc. I had high expectations for this book and stuck with it hoping that it would be worth it in the end. To me, it is a sadly strange story. The writing and action are often overwhelmingly vague and yet at the same time minutely precise. Almost like a randomly focused and then unfocused camera lens. A confusing mix. Part of me wonders about this "personal exploration" of a woman--from the woman's point of view--written by a man. I mean, you can study sea lions and be an absolute expert in the field but in the end you will never actually "be" a sea lion. You will never understand sea lion-ness. I think the same thing goes when it comes to this book. Toibin will never be a woman and doesn't seem to know what women really think and feel beyond assumptions. I know--I know--each woman is different you say, but something was missing with the whole picture. I am not saying that men can't write about women. I am saying on this occasion--from this context--for me it didn't work. And no, I don't think women are like sea lions--it was just an example. In the end it all felt remote. Very little of the action and interpretation of the action and behavior rings true or sounds plausible. Plus it's very sad and depressing to boot. Listen with caution. The description of a woman's life unfolding after being suddenly widowed. The circumscription of a small Irish town in the 1970's and the many subtle ways we watch her grow into herself as an individual, with family yet, as we all are, alone. Beautiful. This book puts me in mind of the many novels by Edna O'Brian. Nora Webster was loosely based on Toibin’s mother and his family. Nora was not a very demonstrative or affectionate mom – or person in general. Evidently Toibin’s real mother talked a lot more. He didn’t want to put all the chatting in the book because he thought all that would get in the way of what was quietly happening in the development of her character. Toibin and his brother and mom actually watched the movies Gaslight and Lost Horizons, as they did in the book – sharing some moments of what passed for closeness with their mom. He wanted to show a life in the shadows… “provincial life”… like Madame Bovary… with no Madame and no Bovary. He wanted the main character to not really know or understand how or if she was getting better after the death of her husband -- and the reader wouldn’t know either. Change just happens slowly and obscurely to Nora, and to us, the readers, the awareness of change is just as slow. Toibin talked about other art forms besides writing. For example, he talked about Cezanne with his big brush strokes like sentences. This new movement in painting influenced writers like Hemingway. James Joyce and other writers were influenced more by music and their writing demonstrates that, according to Toibin. 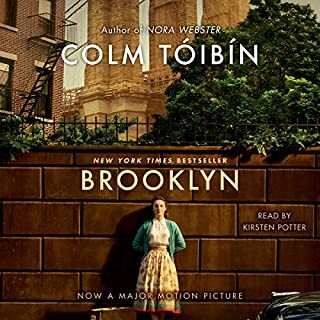 One of Toibin’s most famous books is Brooklyn, as in the Oscar winning movie. I didn’t realize that Nick Hornby was the screenwriter for that movie. 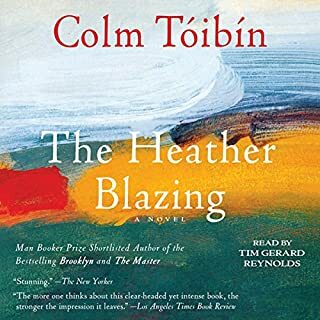 Toibin really appreciated how Hornby was able to find the core story of a young girl, Ellis, leaving Ireland and finding love - the emotional story of one person - and he allowed that to stand for everyone else. But he didn’t try to make it more grand than that simple story. What about turning Nora Webster into a movie? According to Toibin, it would need a different sort of screen writer or approach since it doesn’t have the crossing of the Atlantic as a grand divide or grand idea. Ingmar Bergman could have done it. Nora Webster and The Testament of Mary, another of Toibin’s books, were both about isolated women. Many things were withheld from them. Toibin says that it matters that Nora is a woman because she’s much more aware of being an outcast and of people not wanting to be around her. The burning of her husband’s letters at the end of the book was one of the most dramatic things that happened. Toibin said when his mother died, the letters were gone and they had been there in a box, just like in the book. SO, he imagined that they had to have been burned. The box was empty. He said he NEEDED something for the book; he needed something with which to finish it off, so he raided some very difficult material. By burning the letters, Nora had freed herself. It had been in her, and this is the way it emerges. These were very private things that he put in the book. SO, listening to the podcast definitely helped me appreciate this book a lot more, but… overall, well, I’ll stick with the 3 stars . Would you try another book from Colm Toibin and/or Fiona Shaw? Fiona Shaw was an excellent narrator. The problem was the story. It was boring and depressing and I never felt compelled to care about Nora. I finally just gave up. I gave it three stars only because he narration was good. 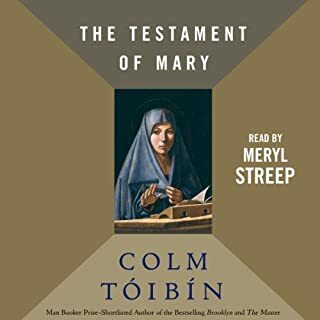 Would you ever listen to anything by Colm Toibin again? I might, some reviews say his other books are much better but then many reviewers loved this book. People praise the excellent writing. I guess I am a reader that is more concerned with the story. Everyone likes something different. This just wasn't for me. 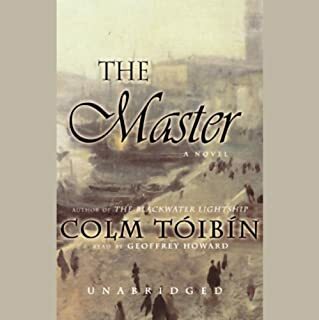 I really enjoyed this book which is the first one I have read by Colm Toibin. I also thought the narration was, for the most part, quite good. The only complaint I have about the narration is that a few of the characterizations were a bit over the top - almost cartoonish in tone. In the worst case the character in the book is supposed to be a mean and nasty boss at work and the vocal characterization approached the level of the wicked witch of the west. For the greater part of the book the narrator enhanced the story and did a great deal to locate the novel in place and time. It is a small flaw but a noticeable one. The story takes place in a small town in Ireland. It is a narrowly focused portrait of a woman who has lost her husband, and it takes place in the three years following that loss. The lens of the story opens to take in a bit of the era -1969 and the years immediately following, when the troubles between the Catholics and the Protestants exploded. Otherwise, only the technology of the period distinguishes the setting - record players and cars are still luxuries and not everyone has a telephone. The writing is very beautiful although much of the story is sad. Each sentence, each word of the book seems specifically chosen - nothing is extra - no descriptions, nothing sloppy. The prose is precise and spare and much of what happens is revealed in dialogue. The main character, Nora Webster, is not the most likable of heroines. She is thoughtful and not sentimental, but a concerned and caring mother despite not making choices that are universally applauded. During her husband's terminal illness, which occurs before the opening of the story, she left the children with her two sisters for quite a while, and she does not question that decision even as she sees the impact it has had on at least one of her children. It is clear that her marriage was the center of her emotional life. Throughout the book much of what she decides is not approved of by those around her, and she is a sort of prickly character who becomes more confident and independent over time. The movement in the story is from about six months after her husband's death until 3 years later and traces the passage of her life from grief, resentment and loss towards her redefinition as she navigates parenthood alone and discovers what motivates and defines her in the absence of the circumstances of her younger married self. Though much of what happens in the novel is small the questions addressed by the story - what matters and how to live - are very large ones. I was very moved by this book, by the beauty of the prose and by the minute details which made the story resonate for me. I also think despite the flaws I mentioned earlier regarding the narration that the audio version is very powerful in transmitting the character's movement over time. I highly recommend this book for serious readers who value beautiful writing. I don't remember how I found this book, but it popped into my life and, as soon as I finished it, I started it all over again. I know now that I have many other Toibin books that will sustain me through the dark PNWest winter which makes me very happy. First of all, the narration on this is phenomenal. I had thought it was more than one person until I went back to check. 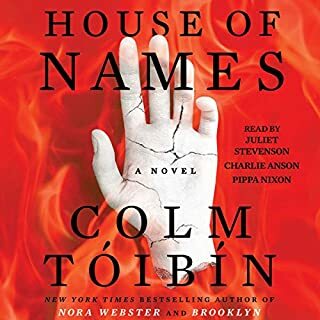 Fiona Shaw makes this novel come alive and Colm Toibin gives her a lot to work with - beautifully drawn characters, simple but compelling story line and an undercurrent of sorrow turning to coping turning to joy. I loved it. Found it very dull. Barely finished. I should have felt more moved by her plight. Perhaps people in Ireland could relate more to the character. Would you listen to Nora Webster: A Novel again? Why? The novel is beautifully written. A simple clear plot. Fiona Shaw 's superb reading nails it. What does Fiona Shaw bring to the story that you wouldn’t experience if you just read the book? The mind set of a woman in Ireland of the 1970s. Fiona Shaw becomes Nora. Who was the most memorable character of Nora Webster: A Novel and why? The combination of Shaw and Toibin shows the importance of a reader to the listening experience. I am not a big Toibin reader but this book, read by this woman, draws me back often. Well-written. I started with the audiobook, which I have been listening to again and again for weeks. Then I bought the hardcover edition, which I am also still reading and rereading. Colm Toibin's writing is precise, compelling, and beautiful. I want to know more of Nora, the children, and even the sometimes frightening and often sharp-tongued Aunt Josie. I want to walk the streets of Enniscorthy, to feel its people and history, and to find myself there. The characters are human, struggling, loving, and flawed, just as we are. There are loud silences and warm, tender moments which is just how life is. Fiona Shaw is a wonderful narrator, beautifully telling the story and giving each character a unique voice. Well done.